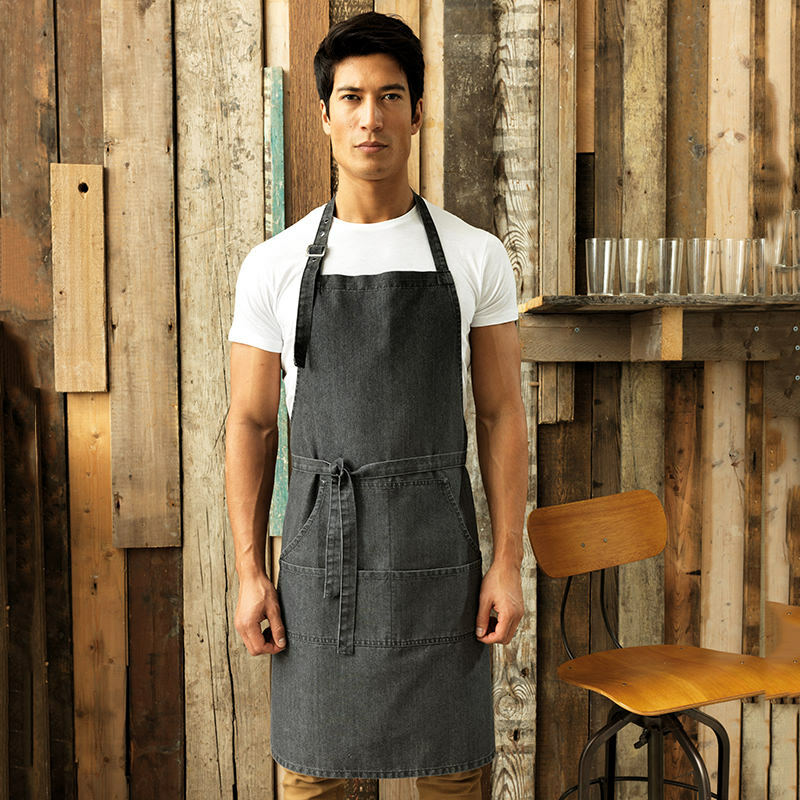 This denim bib apron is a modern solution for bars and restaurants who are looking for something a little bit different from their staff uniform. This full bib style offers hygienic coverage against spillages and can be industrially laundered to 85C. A buckle on the neckband allows the wearer to adjust the length of the apron and there are four contrast stitched pockets to the front that are perfect for carrying payment terminals and order pads. Self-fabric ties can be fastened neatly at the back, or alternatively, are long enough to double around the waist and tied at the front. Denim bib apron with contrast stitching. Adjustable buckle on the neckband. Copper rivets. Four pocket compartments. 86cm long and 72cm wide.